Christmas is around the corner. This time of the year brings lots of joy, fun, and gathering, including a great time for your pets. Pets are a fun-loving and highly socializing animal. It’s time to celebrate the holiday snuggled up in a blanket with your pet and watch a heart-warming movie. This piece of gold is a heart-stealer almost every Christmas. 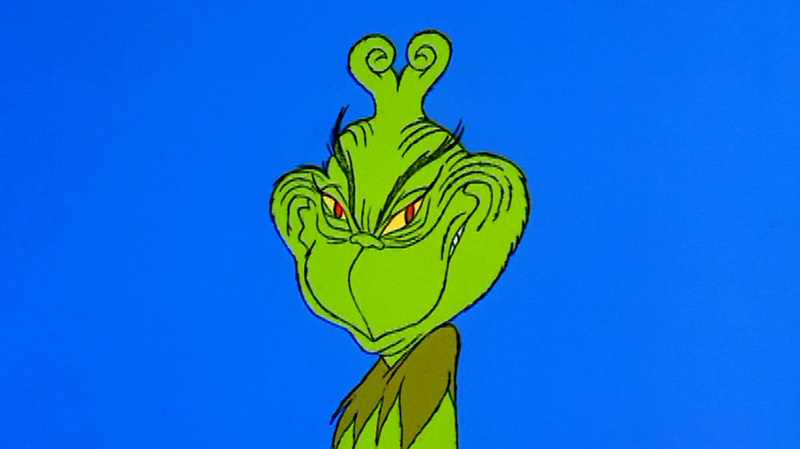 Created by Dr.Seuss and recreated for TV Special by Chuck Jones, How the Grinch Stole the Christmas is basically a movie you can enjoy with your pet every Christmas. It follows the story of the Grinch, a fictional character, who tries taking away Christmas from the townsfolk of Whoville below his mountain hideaway. Grinch owns a pet dog called Max. 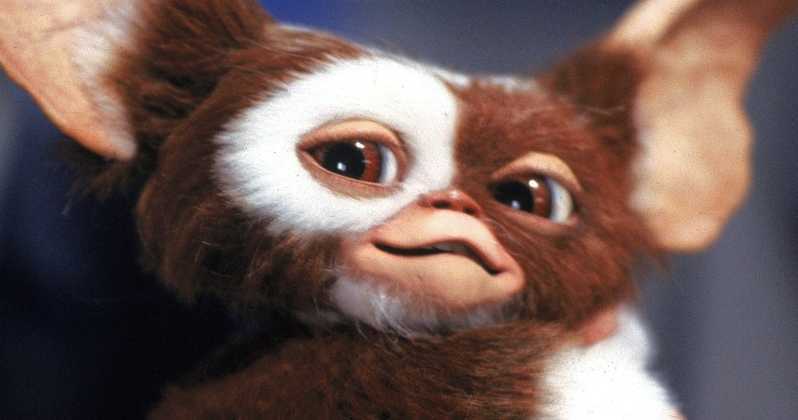 Gremlins is a comedy-horror movie about a young man who receives a strange creature called ‘a Mogwai’ from his Salesman father from the Chinatown as a pet. It comes with a warning to never expose the creature to bright light, water, or to feed it after midnight. Unfortunately, all of this happens which then spawns gang of gremlins creatures who transform into small, destructive, evil monsters and decide to tear up the town on Christmas Eve. Santa Buddies is a light-hearted Christmas movie about Santa Clause and his dog Santa Paws who try to reinstate Christmas spirit and stop the Christmas Icicle at the North Pole from melting. 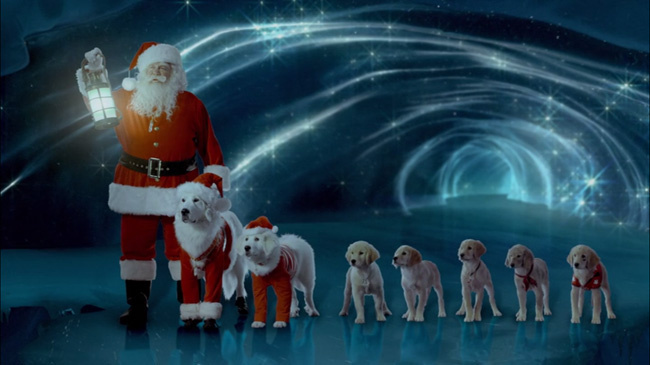 The movie revolves around a group of dogs trying to save Christmas. It involves lots of fun, adventure, funny dialogues, and scenes. Look Who's Talking is a romantic comedy film written and directed by Amy Heckerling. 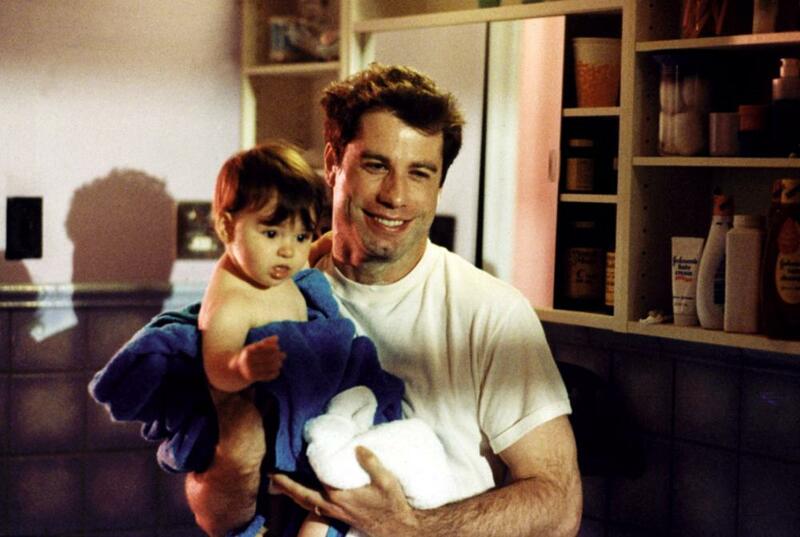 Came out in 1989, it stars John Travolta and Kirstie Alley (Mollie) along with Bruce Willis playing the voice of Mollie's son, Mikey. The fun-filled movie revolves around the lives of Mollie and Mikey trying to find a life in New York City. Jingle all the Way is a family-comedy movie starring Arnold Schwarzenegger as a workaholic father who can’t give time to his son. 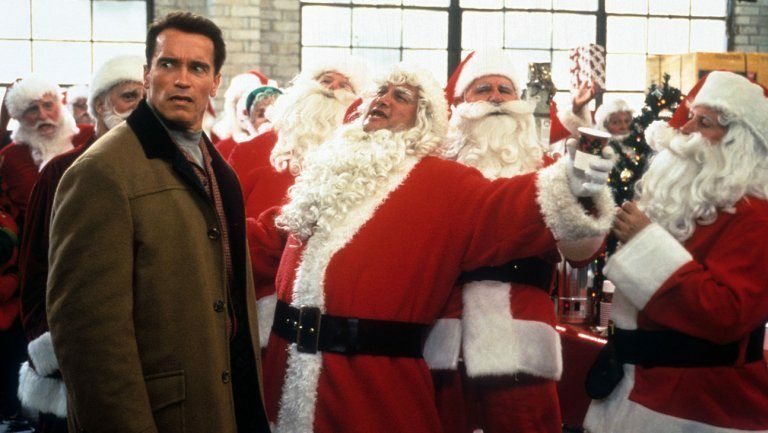 As a last chance to bond with his son, Arnold desperately tries to get a Turbo-Man action figure on the last minute shopping spree on Christmas Eve. 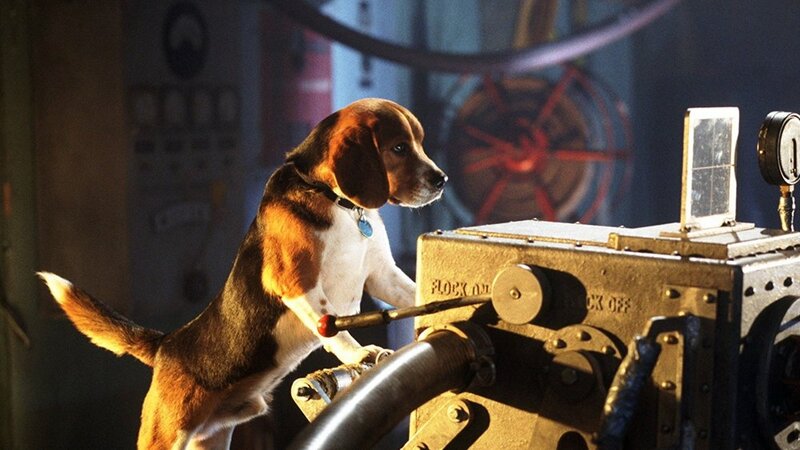 The movie goes from comedy to adventure and can be a great movie to indulge in with your pet. Cats & Dogs is a spy action-comedy movie directed by Lawrence Guterman. The story is based on the relationship between cats and dogs, depicting their relation as the intense rivals in which both sides use organizations and tactics that mirror those used in human espionage. The talking animals can be a frightful experience for some pets, so do consider asking friends for the recommendation before renting out this movie this Christmas. Lady and the Tramp is an animated romantic movie produced by Walt Disney in 1955. Based on "Happy Dan, The Cynical Dog," by Ward Greene, Lady, and the Tramp revolves around the story of two dogs, a female American Cocker Spaniel named Lady and a male stray mongrel called the Tramp. When the two dogs meet, they embark on a romantic adventure. Pets fill our heart very quickly. They are more than our pets. They’re the part of our family! The best thing to value their contribution in our life is by memorizing them. What better than taking a family photo with them? American Pet Products Association did an online survey of 1200 pet owners. “90% of pets” are considered the important part of the family. So why not give them the benefit of being a family. Do consider taking a photo of your pets and with your pets. Most pets tend to be camera-shy. Here are some of the tips to take their photos better. Do care to use natural light when taking a photo of your pet in the picture. Avoid flash as it not only causes red-eye but also frightens your pet. Most pets are unaware of photography or may find the enclosed room claustrophobic. Try to get them outside while taking a photo or use natural light or brightly lit room. Eyes speak for themselves. Animals are expressive and often extrovert when they are enjoying. It’s important to keep their eyes sharp when taking a portrait. So make sure to focus on your pet’s eyes and keep them sharp. It’s practically impossible to get your pet to pose or appear in the photo if they aren’t interested. It’s very important that you make them feel comfortable and at ease. Instead of forcing them you can go to them. Most important is to get down to his level. Try to keep the camera on their eye-level to get the best out of a photo. It’s always fun to add value to their character. Instead of taking a dull picture, try to take a photo which speaks their character or nuances. If you have a lazy cat show him yawning, if your pet is of a playful type show him in action performing its favorite trick. It can be difficult to get your pet to stand still or indulge in an action you want to take the shot in. An easy trick is to let them indulge in whatever they’re doing or prepare everything beforehand to motivate them to indulge in an action you want to take the shot in. Learn to be patient with your pets. It can be difficult to get them to understand what you’re trying to do. Photographing a pet requires a lot of patience. No matter how excited your furry friend is, if you are patient enough, they will end up by relaxing and you will have the opportunity to get a decent shot. Take your time and enjoy the photography session with your pets. Try different styles, poses, movements, and concepts to add value to the photo and make it livelier. Shoot a lot you will have time to worry about the results later. You would want to set your shutter speed on a fairly fast frame in case the pet moves. If you are using a traditional film camera, consider 400-speed films. Pets aren’t just animals you can take for granted. They are a part of your family, most of the times your companion. Leaving pets at home or at neighbor’s care while you travel can be difficult. Keeping constant touch while traveling can be difficult too. The best tip is to prepare yourself and your pet to travel along with least difficulties. Car is the most common form of transport throughout United States. Thanks for the good roads, you suffer the least from the bumps or off-road experience. The safest way for your dog to travel in the car is in a crate that has been anchored to the vehicle using a seatbelt or other secure means. 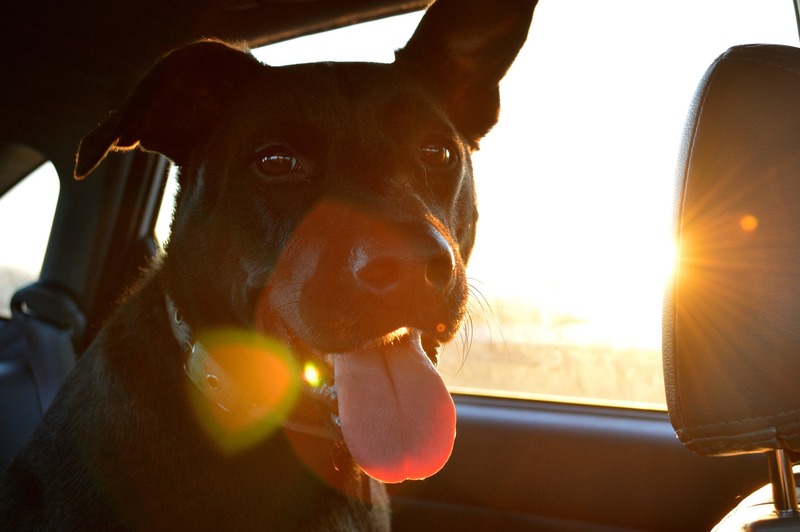 Dog restraints or seat belts are useful for preventing your dog from roaming around the car to prevent any accidents. Traveling in a plane with a pet can be the most challenging experience as most airlines do not allow your pets to sit along with in a cabin. Most pets travel inside the pets’ carrier in a plane. You can check with the airline if they allow smaller canines or felines to sit beside the pet owner. Dogs with short nasals such as bull dogs, pugs and Persian cats may suffer from oxygen deprivation and heat stroke. Most small U.S. railroad companies permit animals on board if the pet owners can take care of them. Pets are mostly welcome on cruise lines or long route ships. Some lines permit pets in private cabins, but most confine pets to kennels. The first goal when traveling with your pet is to make sure they are comfortable. Pets need a comfortable or homely space to relax and to sleep. They are keen on following their daily routine, hence you should bring along a cozy bed or mattress for them. Traveling inside the automobile can a fatiguing experience for most pets. The heat can result in dehydration too. You must keep enough water inside your car and provide easy access. Regular feeding is essential too. Make sure you carry enough dog food and you feed your pet regularly. Puppy pads is essential to help you pet relieve while traveling. On long trips you can’t exactly pull over for a pit stop, hence puppy pads are the next best thing. While many airports now include a pet relief area, most do not. These pads also prove to be useful during a long layover between flights. Animals can get bored pretty quickly. Traveling for 8+ hr is a lengthy time, hence you must try occupying your pets’ attention by offering quick games on the road. Providing them to fidget with helps to keep them occupied and prevents any disturbances to the driver. Traveling during the night, long destination commute or to colder areas, all these pose problems for your pet’s health. Do not forget to bring warm blanket or covers for your pet to nap in on the road. The mixed breed makes over 50% of all the canines found in United States and over 15 million around the world. According to HelpaMutt.com, almost 75% of all the canines who land up in animal shelters are mutts. Pet owners are preconceived with many misconceptions about mixed breeds, which makes them choose a pure bred over the other. Also known as National Mixed Breed Dog Day, Mutt Day is celebrated to raise the awareness about Mutts’ plight in the animal shelters. It also highlights the important fact, potential pet owners should choose personality over the purity of the canine. National Mutt Day was first organized in 2005 by pet expert and animal welfare advocate Colleen Paige. She instituted not just one but two different dates for the Mutts’ Day, July 31 and Dec 2, to achieve her goal of getting 10,000 shelter dogs into loving homes and among pet owners. The Mutt Day campaign mostly works for eliminating the misconceptions about mutts and help save dogs from landing up in shelters. Mutts are generally healthier and tend to be immune to many breed-specific diseases. Every mutt has variety of coat and patterns, hence none of the mutts are alike. 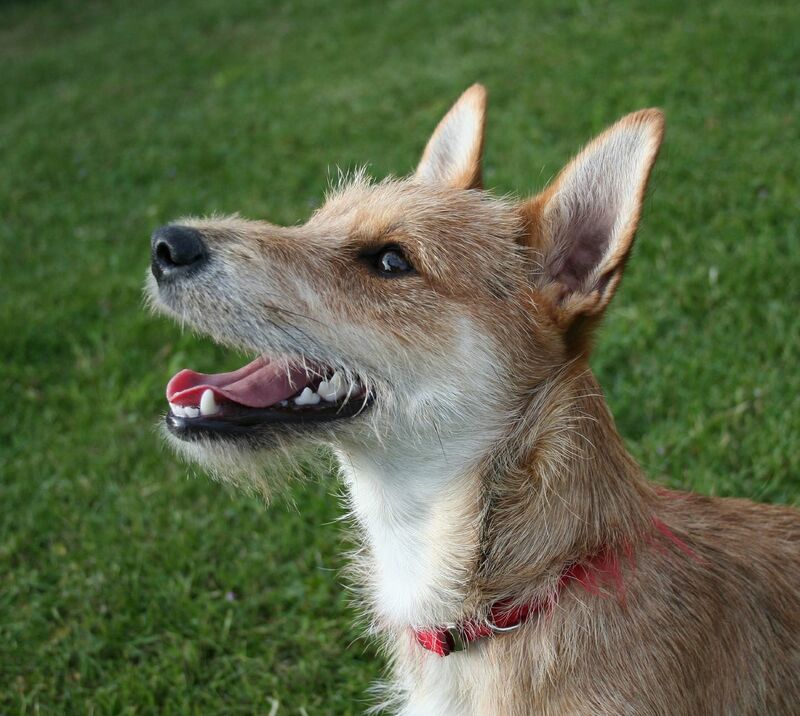 The mutt you choose will have unique features among all the available canine. Every mutt adopted from shelter means one less dog from the street. When pet owners choose mutts over pure bred, it will discourage the unnatural dog breeding in puppy farms. It helps to eliminate the prevalent status quo among most upper and upper-middle class pet owners. As reported by American Kennel Club, Labrador Retriever remains the most popular choice among the pet owners for a pure breed, while German Shepherd makes up the most popular owned breed as both a pure breed and as a component of mixed breed.